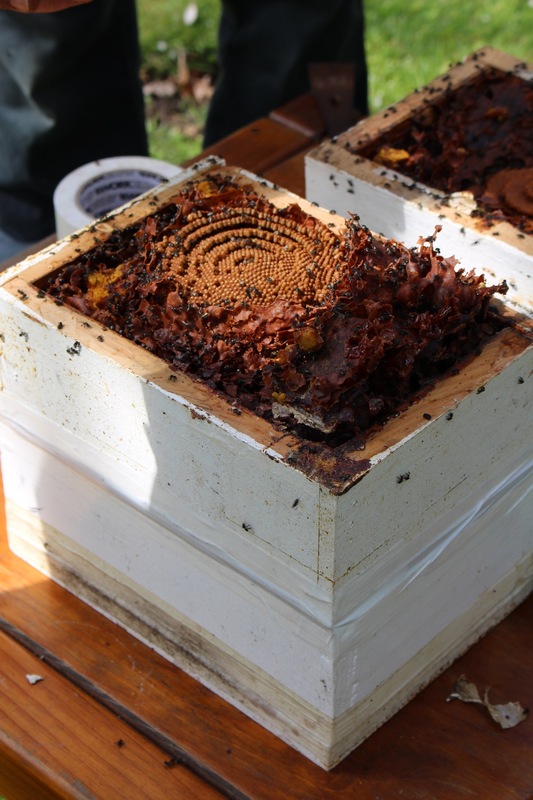 An intimate photographic look inside the sacred geometric structures of 4 Native Stingless Bee Hives. 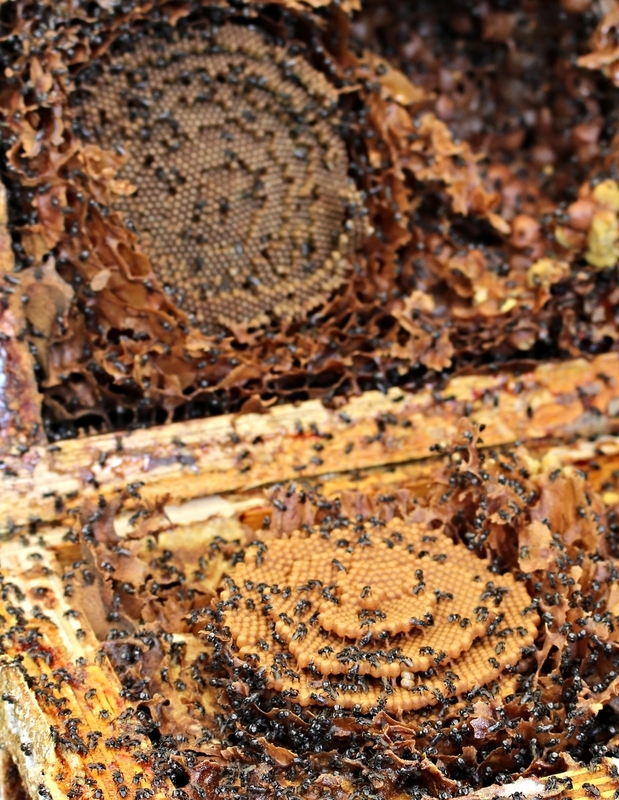 Within this tiny bee's hidden labyrinth are spiraling brood cells, uniquely strong wax scaffold, and the precious storage pots full of pollen & honey. The last weekend of September we hosted our first internal 'Splitting Session'. 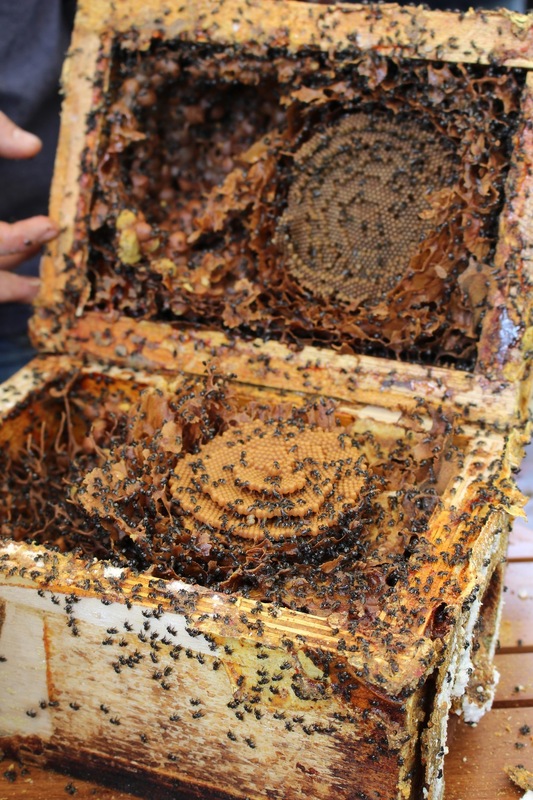 This consisted of propagating 4 hives into 8, over 5 hours at 3 locations. 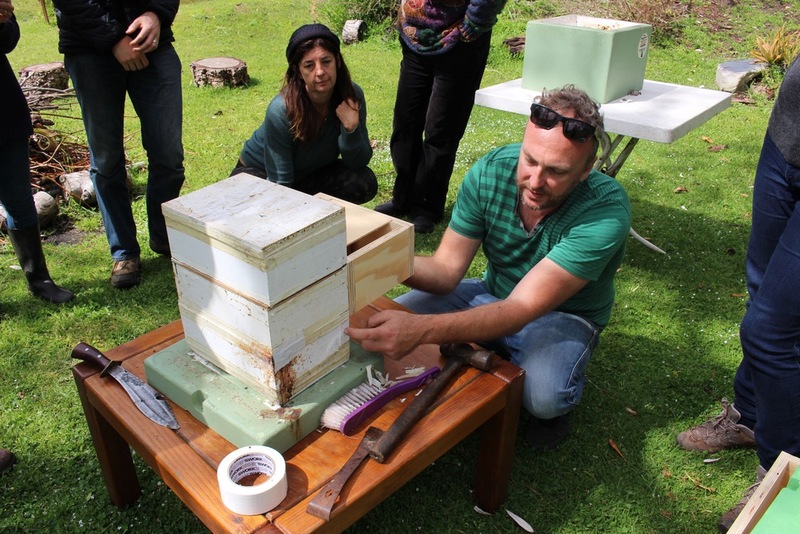 It was an intensive, collaborative workshop to further educate ourselves, multiply colonies to help conserve Sydney's endemic social bee and celebrate the start of this season. Photographs by Emily Fewster & Paul Ryan. 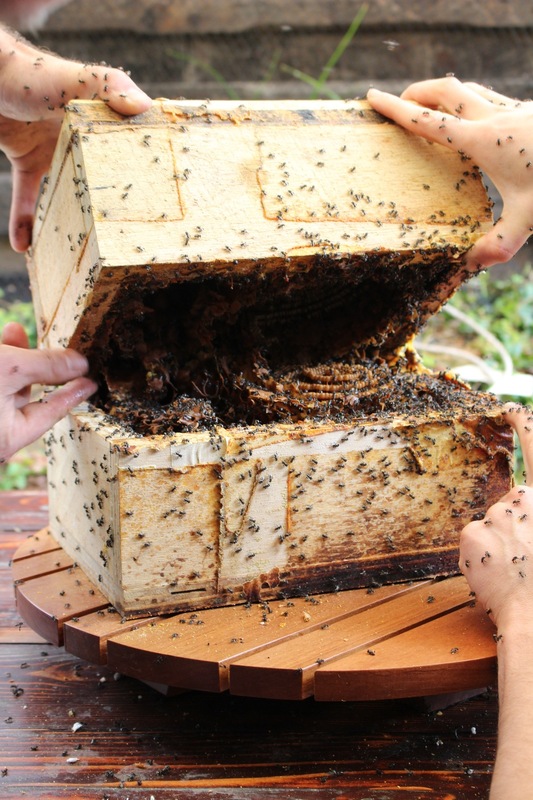 Ron and his backyard stump, had a 5 week old swarm neatly nestled in under a ceramic pot. 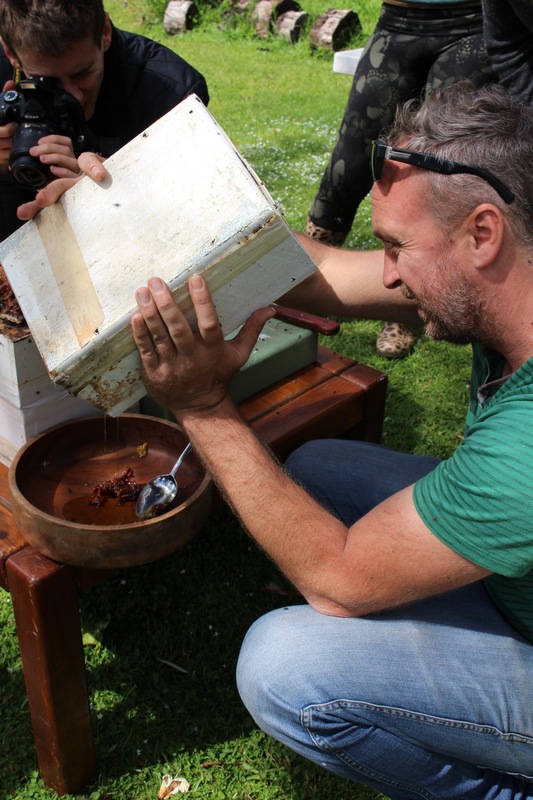 We wanted to harness the new colony, and their uniquely chosen spot, by giving the brood more room to grow and produce copious amounts of honey. 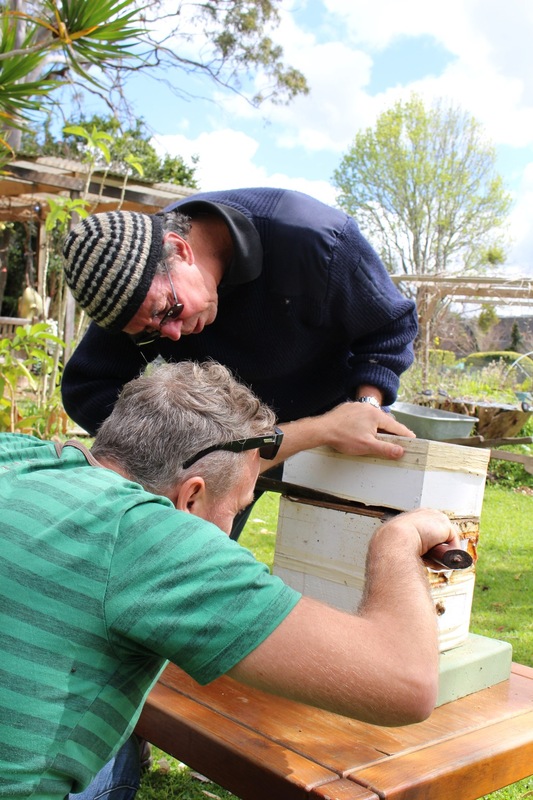 Apis mellifera are so intent on either swarming or producing honey, to sustain their large and busily obsessive population, that we decided to build a custom bee box to neatly pop on top of the stumped swam. 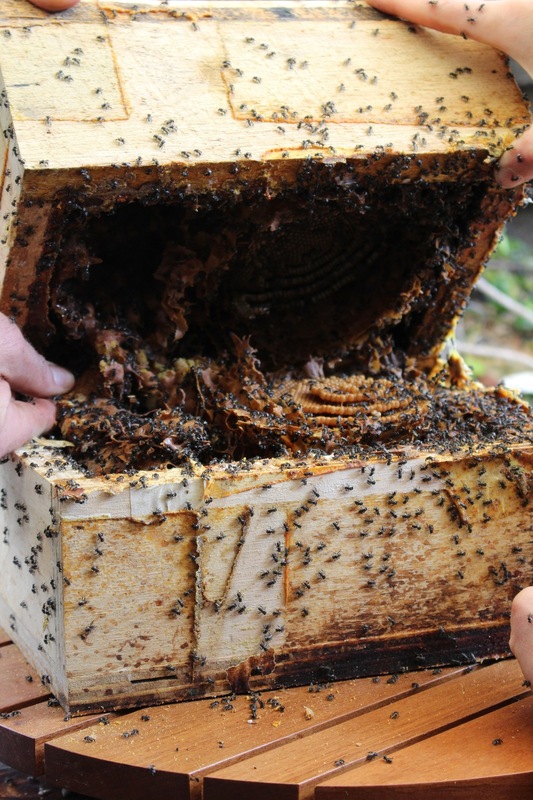 Without knowing how large the population or how deep the hollow, we crossed our fingers and focused on minimal disruption and impact to the bees, brood mass and queen. It was deep and the brood was established. 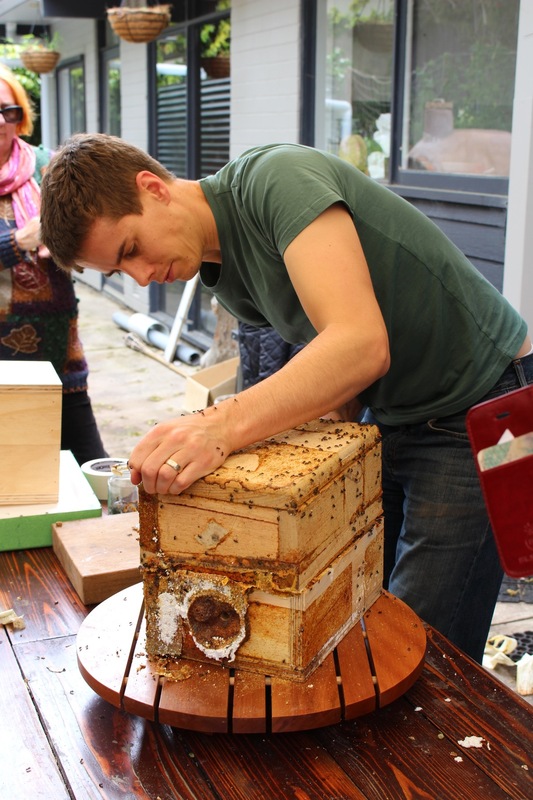 Our mission went so smoothly and the colony was very calm, due to the established brood mass having attached itself to the stumps void securely. 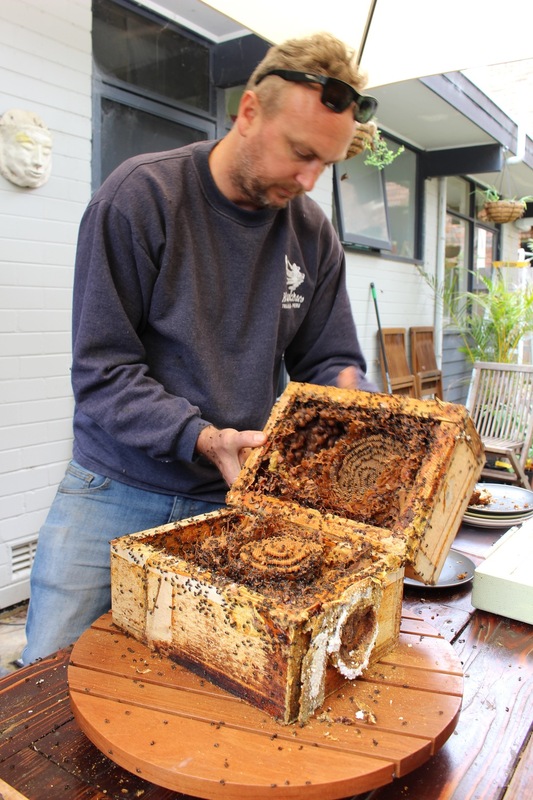 Ron's backyard beekeeping has begun, and his relationship with the Balgowlah bees will continue. 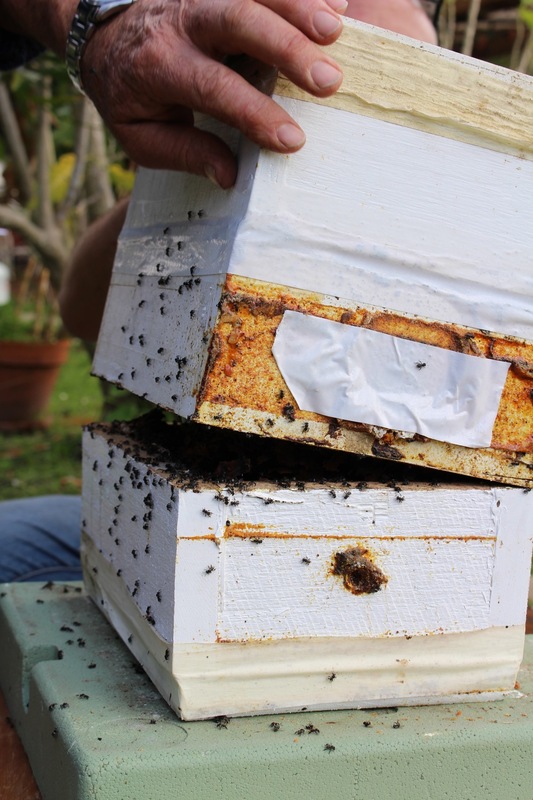 Northern Beaches Native Bee Group is ready to assist and educate in colony rescue, hive splitting or honey harvesting of our native stingless bee, Tetragonula Carbonaria. 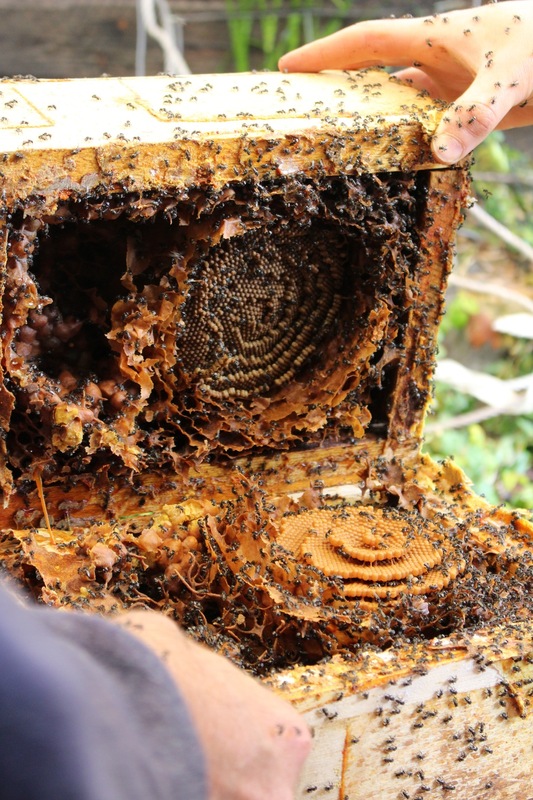 RESCUE - If you find these bees in a tree that has fallen or is being cut down, we need to rescue them and are here on call to assist in conservation of this indigenous bee species. 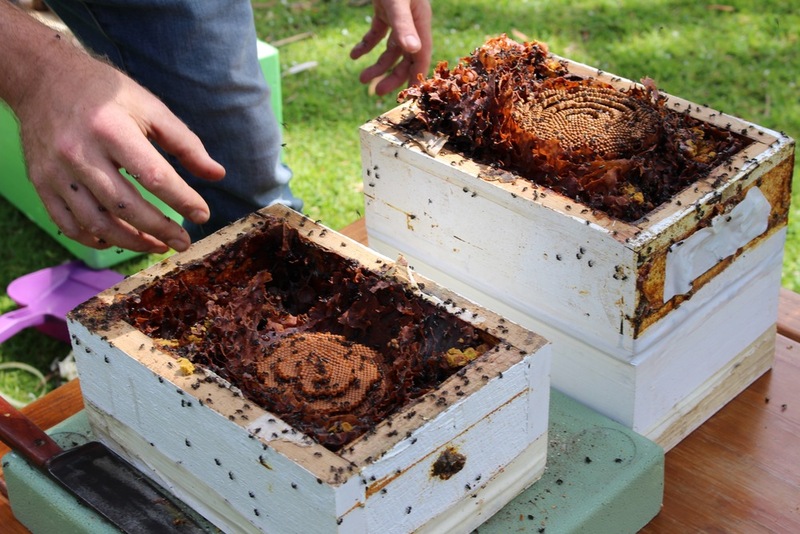 HONEY & SPLITTING - Whether you are interested in a honey harvest or a colony split, our group can assist you in either. 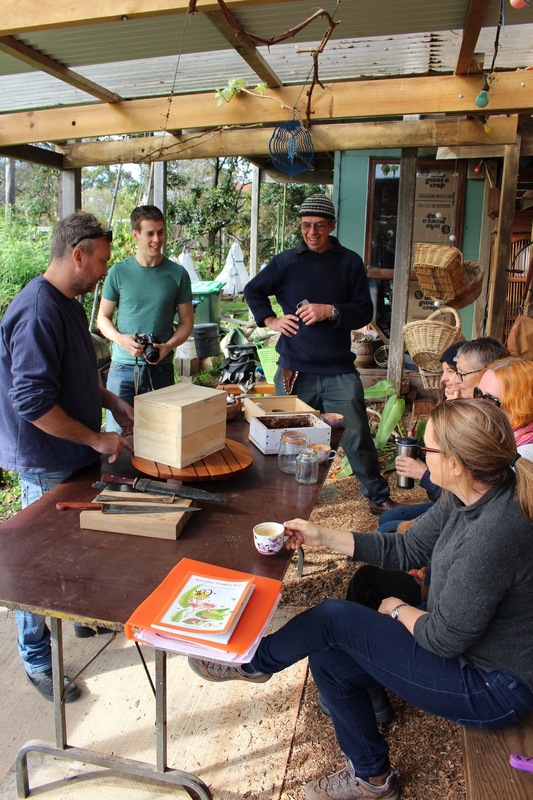 We also offer the production of native bee boxes and honey supers made to order.